Bobbi Brown Skin Moisture Compact Foundation ($50 for 8 g of product) is the newest of Bobbi Brown’s foundations. It is available in 20 shades, so basically there is one for every skin tone. I decided to try out “Cool Ivory” 1.25 and “Beige” 3. 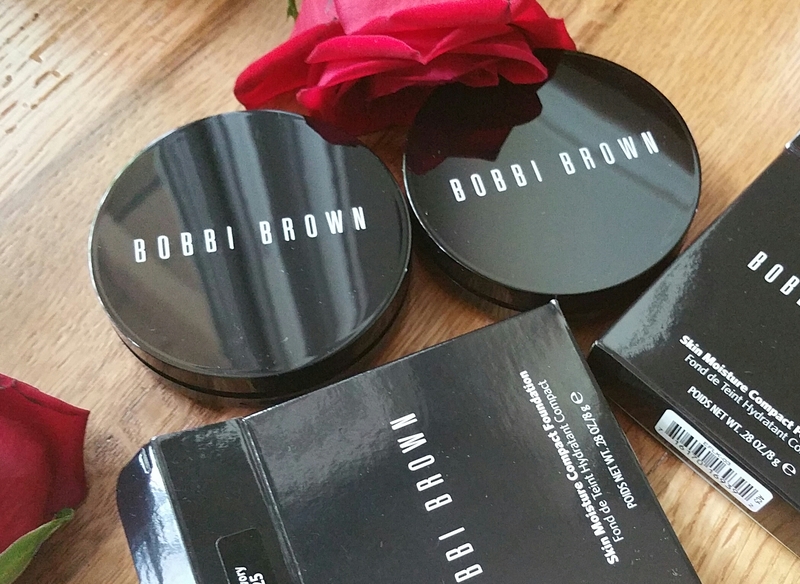 Bobbi Brown Skin Moisture Compact Foundation comes in a familiar compact of shiny black with white lettering. There is a large circular mirror under the lid, and then a hidden compartment that contains the applicator sponge. It’s definitely a portable and travel friendly item. The sponge sits in a vented compartment, which I imagine is done to help the sponge dry out between cleaning and uses. Very smart. Before getting to the shades I chose, let me tell you what this product is supposed to do and how I feel about the formula. Bobbi Brown describes it as follows: “Infused with a moisture-reviving marine extract and collagen-enhancing ferment, this richly emollient yet lightweight hybrid cream foundation delivers moisture and luminous coverage for a polished, lit-from-within look.” Apparently the formula is best for normal to dry skin types, which describes mine. However I don’t typically use foundation unless it provides my daily sun protection. On a typical morning, I wash my face, apply my serum of choice, (if I’m really dried out I’ll put on a layer of moisturizer), then I apply a tinted primer or Cotz Natural SPF 40, and then get to concealer and color makeup. As far as concealer goes, Bobbi Brown is one of my top choices. I even sometimes use her stick foundation as my concealer. However, Skin Moisture Compact Foundation doesn’t provide the coverage I would like in a concealer, and it’s also very emollient, as claimed. I like my concealer to be solid and on the dry side. So I don’t think this product would be an integral part of my routine because it doesn’t fill one of my needs. However, it does have it’s place for anyone seeking an emollient, moisturizer-esque foundation. Getting to my shade selection, I chose Cool Ivory because it is actually the only one of the 20 shades with “cool” in its name. I always think of myself of cool toned, even though I like to appear warm with self tanner and bronzer. 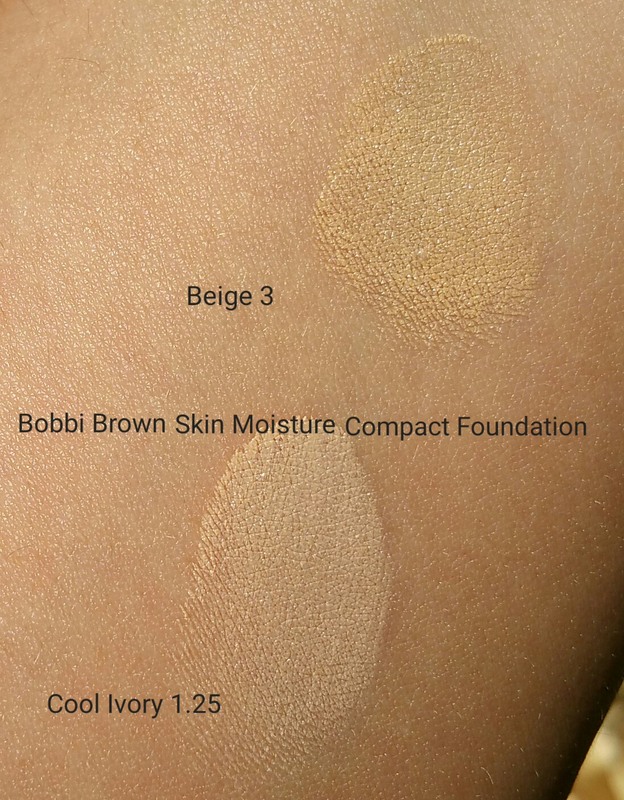 I wanted to try Beige because in the past I have used “Beige” concealer and foundation from Bobbi Brown. The color swatches on my arm show that neither shade is an exact hit for my skin there, but that’s misleading because my face is paler than my arm this time of year. 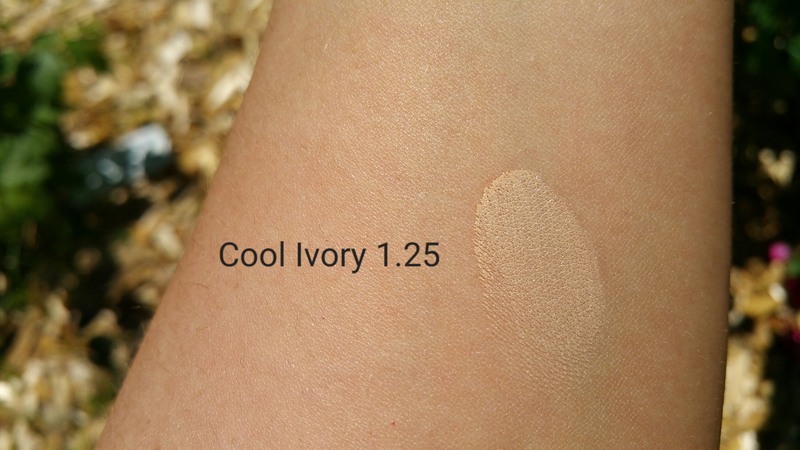 So Cool Ivory actually suited my face better than Beige because of this issue. However Cool Ivory made my whole face appear a bit pale when I used it that way. When I applied it to just my under-eyes and around the redness around my nose, it worked well in terms of color. However it did not conceal enough for me. 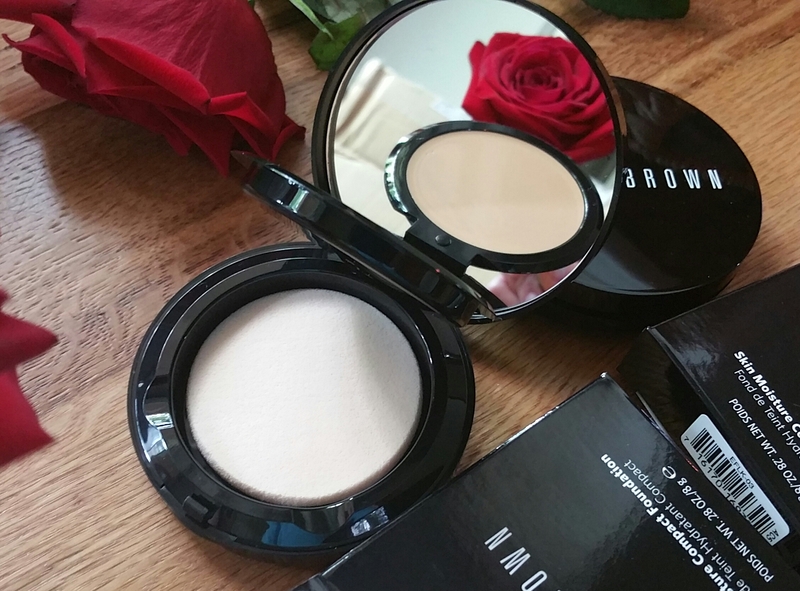 So in the end, I have good things to say about Bobbi Brown Skin Moisture Compact Foundation for anyone looking for a lightweight, light to medium coverage, emollient, plumping, foundation. However the product does not fulfill one of my skincare or makeup needs, so I’ll probably be passing on future use!